Today is the Kevin Garnett episode for no other reason than it is episode 21. Kevin does not make an appearance. He is off somewhere being waaaaaayyyyyy too intense for me on a sunday morning. Today I talk about a good move by NC State. 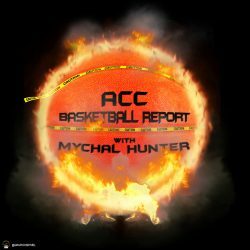 GT filling a coaching vacancy (finally) and I talk a little bit about recruiting and the free agent market. I am also still looking for contributors so send me a writing sample and a short bio. Tag me and use the hashtag #ACCBR and identify todays intro song for stiiiiiiiiiickers. They are quite lovely, trust me. Next PostNext Get familiar with these three.